Below are our featured case studies. 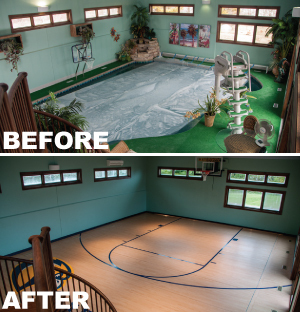 A residence in Wisconsin had a dedicated pool room that they wanted to be a multi-use facility – primarily an indoor basketball court. The pool had an irregular shape. The room did not have enough space to place our racking mechanism. A new foundation was dug out to meet the needs of the automated racking system outside of the pool room. “Our gas bill went down $900 a month” – This is because the cover is insulated (keeps heat in water) and also creates significantly less water evaporation. “The moisture that use to protrude through the rest of house is gone” – Our cover should slowdown and help prevent moisture damage to structure. 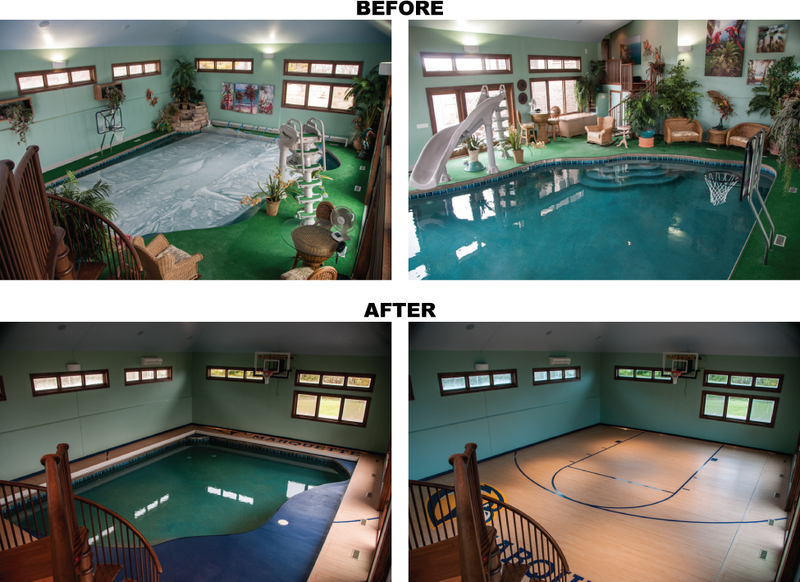 “We have no more worries about the kids being in house and going through pool area” – Kids cannot drown on a basketball floor. “The kids enjoy playing basketball indoors” – Because this region experiences a winter season, indoor space is at a premium. 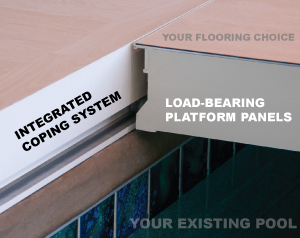 This was our initial installation and has been the base of our testing for over 12 years. We had many challenges in developing our system. This installation provided the the adaptability to teach us the true needs of the WutPool system. By tackling obstacles in various ways, we have refined all of the critical components to make our concept work. The value of the house you are looking at should go up in value once the cover is installed, as now that room is considered living space when appraised. A unique feature with our cover is that you can forget about your pool for a while and use it again later (which has just happened in our house – pool is once again being used daily for “getting in shape”). Above are the various stages of the pool cover opening.